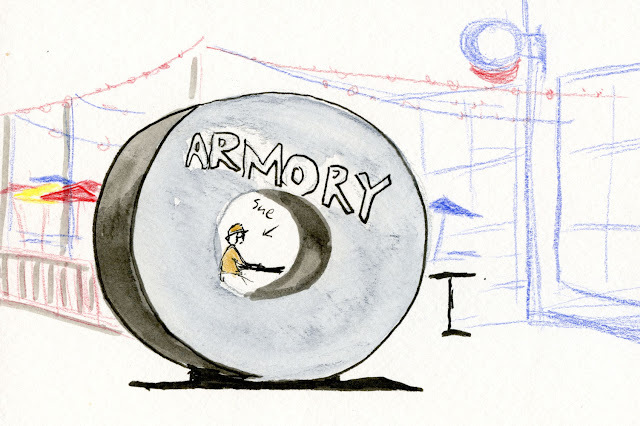 As Sue began the workshop outside the Armory, I sketched her through the “donut” sculpture. 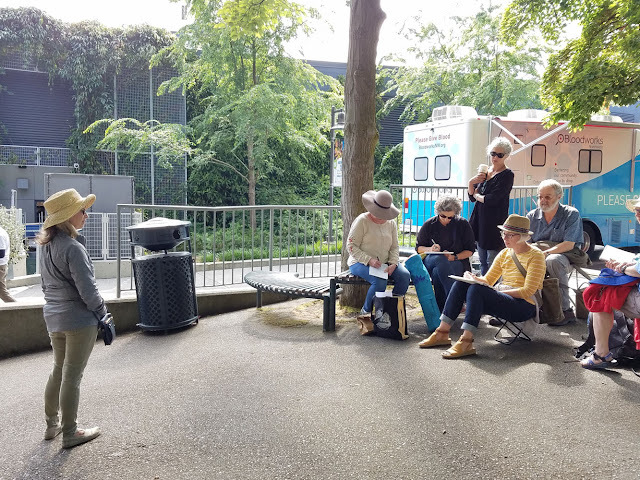 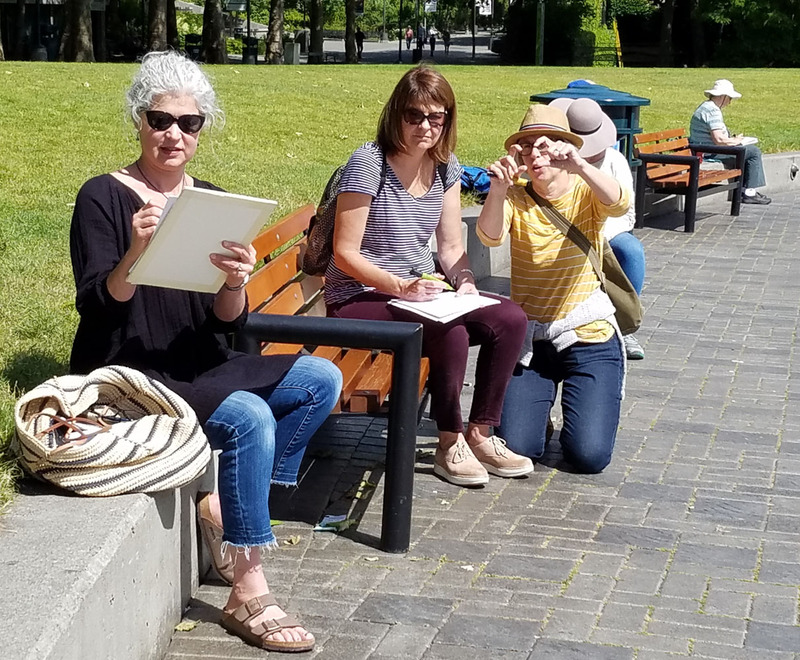 I hardly had time for this sketch, though, before she moved her students to different areas of the Seattle Center to demonstrate her techniques. In one demo, she got Jane to model for her. 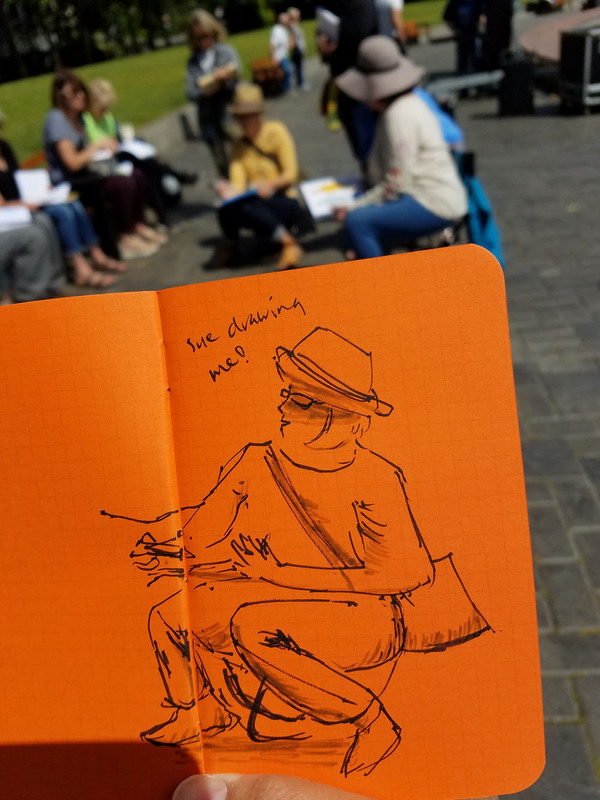 During another, I was in the middle of sketching her when she decided to sketch me. 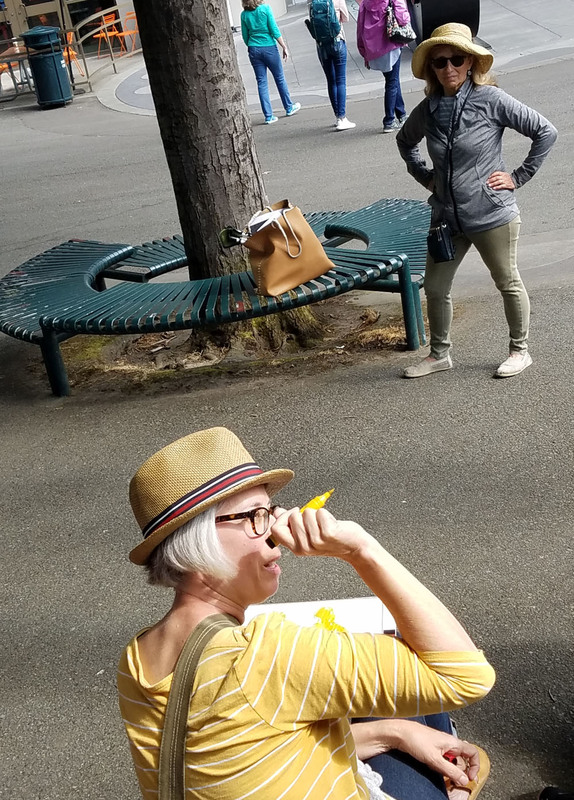 Apparently I was a good example as she showed how to determine which leg a standing model’s weight is on – an important element in drawing a convincing figure. 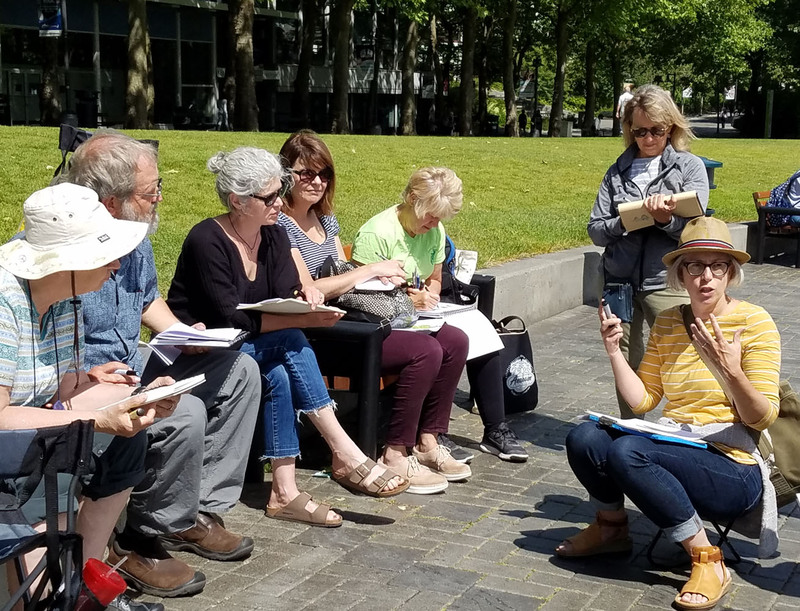 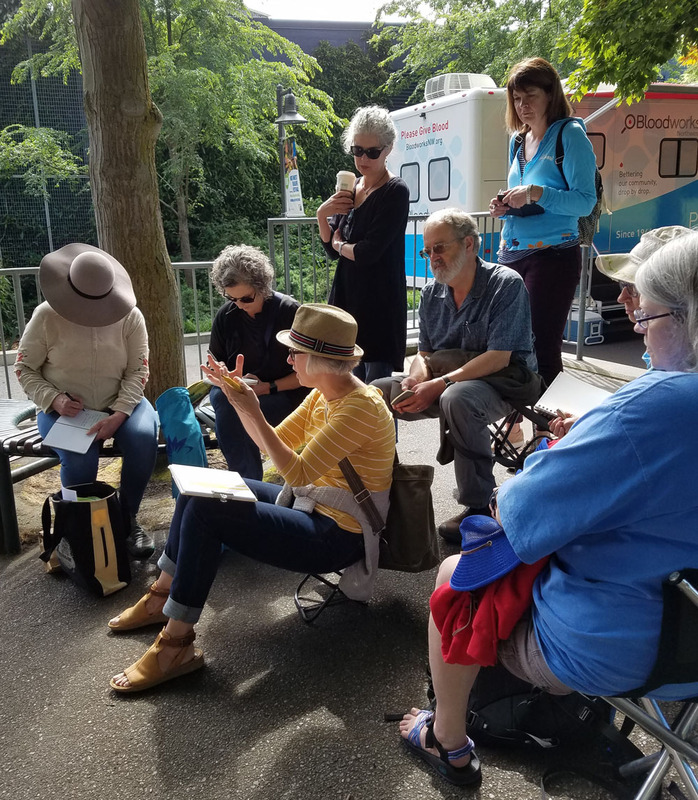 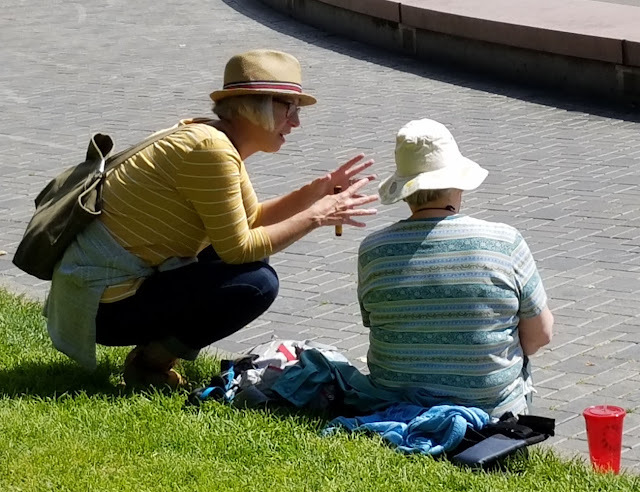 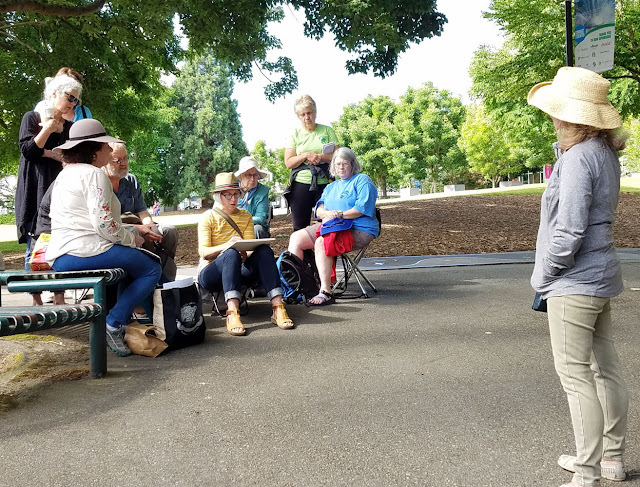 With another appointment to get to, I could observe and sketch Sue’s workshop only for a short time, but it was fun to eavesdrop on her lessons, especially in that sunshine. 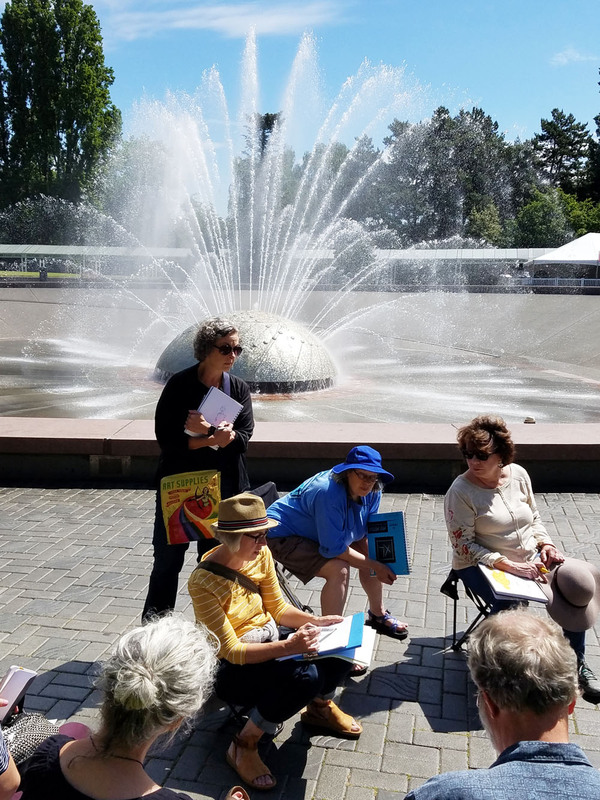 Sunshine and blue skies at the fountain!